When I first started my blog and shared the link with a few friends, one of them said ‘I thought you were an extrovert all the way”. She went on to say that she thought I was pretty ‘social’ and loved ‘hanging out’. That was contrary to what I usually heard. I’ve been told I am ‘too quiet’, ‘very shy’, ‘snobbish’ (say what?!) and ‘prefer being alone’. These are common stereotypes of introverts – not just myself. As a child growing up my mom would say ‘you’re an introvert- just like your dad’. (I’m hoping she meant that in a good way- perhaps I should check back with her on that). I know introverts in general are often misunderstood. So for my readers and friends, here is my experience with it. 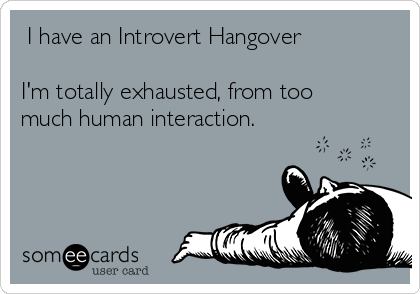 Introvert by definition means a ‘shy and reticent person’. However, there are countless articles about the difference between being ‘shy’ and an ‘introvert’. Best put by Susan Cain, shyness is the fear of negative judgment whereas introversion is a preference for quiet, minimally stimulating environments. Big difference. This is by far one of my favorite TED talks by Susan Cain on the Power of Introverts. Do have a listen when you have a moment. Here are the few misconceptions I’ve come across and my take on them. No. I’m not too quiet. I speak up when I want to. On subjects I am passionate about. Culturally diverse authors and books , confectioneries and desserts (all chocolate of course! ), educating and enriching our children’s lives, Pakistani drama serials & Gilmore Girls (guilty pleasures), cardio, weights and fitness . If I get started on those, you will hear me quoting facts and figures, reliving stories, and making in depth conclusions – just about anything short of a one hour power point presentation. As much as I would like to make small talk, it is almost draining for me. My jaw bone starts hurting trying to keep up a smile. If someone starts a discussion about a country’s political scenario, I prefer not to give my opinion and perhaps will be judged as being ‘too quiet’. Because of this preference I tend to listen in quietly more than participate in discussions. Generally speaking, introverts prefer to be observers. But my mind is always in overdrive, thinking and contemplating even when I am quiet. As a child in class, I never spoke up much. As a result, the teacher assumed I was either not paying attention or just wouldn’t know the answer. When that starts to happen, you know you will be ‘picked on’ next by the teacher. I really wasn’t the eager beaver raising her hand wildly in the air, with the ‘pick-me’ look on her face. No, I’m not too shy, I just don’t choose to raise my hand. More often than not, I would know the answer, and when asked I didn’t hesitate voicing it. I just do not need to be in the limelight, in fact someone else taking center stage is perfectly fine. Introversion is a completely different personality trait often confused with shyness. I am rarely bored. I grew up as an only child, but was never bored. Even now, I always find something to do – books, baking, brainstorming. I can spend countless hours researching random new ideas that pop into my head. I also enjoy ‘me time’. I love my friends, I really do, but I also enjoy solitude, tranquility and need the time to unwind and recharge my batteries. Friday nights at home with pizza in pj’s is perfect for me. If my friends are at a party and I’ve decided that I’m staying home because it’s been a busy few days for me, I have no FOMO (fear of missing out) – a new term I came across recently. In fact this term was also added to the Oxford Dictionary! Who knew?! It basically means “a pervasive apprehension that others might be having rewarding experiences from which one is absent”. So definitely no FOMO here. And coming back to my friends comment ‘I thought you were an extrovert all the way’. I do love hanging out too. I do crave human interaction. But perhaps in small doses, with breaks and with people who energize me, with whom I can meaningful conversations, good laughs, and good times. When I’m with them I may even seem like a social introvert – seems like an oxymoron, but it really isn’t. 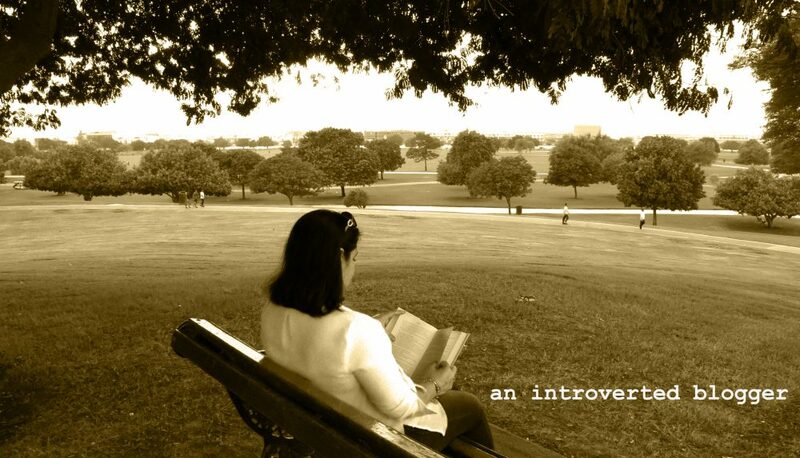 This entry was posted in Reflections and tagged expat blogger, human interaction, introvert, introvert life, introvert thoughts, lifestyle, misunderstood, not an extrovert, not shy, quiet, Susan Cain by An Introverted blogger. Bookmark the permalink. I agree with all of this! It’s so funny that you say you’re never bored, because I’m the same way! Seriously, my mind is always, always going. I never stop coming up with things to think about or ponder or whatever. Great post! Thanks Lorilin! I am home alone this weekend (family is traveling) and I am enjoying every minute! Not bored for a single minute. Thanks for stopping by! simply loved this post! I never knew but I guess I am an introvert too! Love it…I can so relate to it.. Thanks! I’m glad it has resonated with many of us! Perhaps there is a tiny bit of introvert in all of us. Something to explore. Hmmm interesting blog. Loved it Nadia! I always thought you were an extrovert… The little we got to know each other. This article so perfectly defines me. Each n every bit of it is me. I really enjoyed it and surprised too how easily I fit in this category. And yes introverts are very much misjudged or misunderstood by people. Simple yet perfect! All the best in future. Would like to read n follow your blog. Take care. I am glad this post resonated with you as well. Thoroughly enjoyed reading it and can relate to it on so many levels! Thanks Shazana! Appreciate you taking the time to read my blog! Haha I can so relate!! Very well written. Often there is an assumption that to be an extrovert is somehow “better” but actually its just a difference in personality, and if everyone were extroverted then the world would be even more chaotic than it already is, with each of us wanting air time and no one wanting to listen!!! So kudos to you for being proud of it!!! Thanks Tas! I agree – Extroverts tend to get the popular vote, but hopefully introverts can be better understood now! Nadia, you thoughts are highly readable and a refreshing change from the ‘pop media’ surrounding us. Please keep blogging! Thanks! Appreciate you taking the time to read! Thanks for the inspiration to get me writing this post. And yes, definitely a planner here! Though I am trying to be more spontaneous – but it’s hard!